The current Auris, shown, will keep its name when the new car goes on sale early next year. Toyota said it will keep the name Auris for its No. 2 seller in Europe. There had been speculation that the Japanese automaker might return to using the name Corolla, which it dropped in Europe in 2007 for its hatchback compact car amid criticism. "In the future, the model will continue to be called the Auris in Europe. We are satisfied with the model awareness that we've achieved with this name," a Toyota spokesman told Automotive News Europe sister publication Automobilwoche. Toyota uses the Corolla name in markets outside Europe, including the United States, and for the sedan version of its compact car sold in Europe. But it switched to Auris for the hatchback after restyling the old Corolla's dull design and adding upscale features. Toyota hoped the Auris would be a more successful rival to cars such as the Volkswagen Golf, Ford Focus and Opel/Vauxhall Astra in the compact segment, Europe's second-largest after subcompacts. But the Auris has been a slow seller. Through April, Toyota has sold 27,722 Auris units, down 27 percent from the same period last year, according to JATO Dynamics. By comparison, VW sold 161,753 Golfs in Europe during the first four months of the year. Toyota will debut an Auris concept at the Paris auto show in September. The new model will go on sale soon after a production-ready car is unveiled at the Geneva auto show in March. In terms of styling and features, the new Auris is widely seen as determining the direction of future products from the automaker. 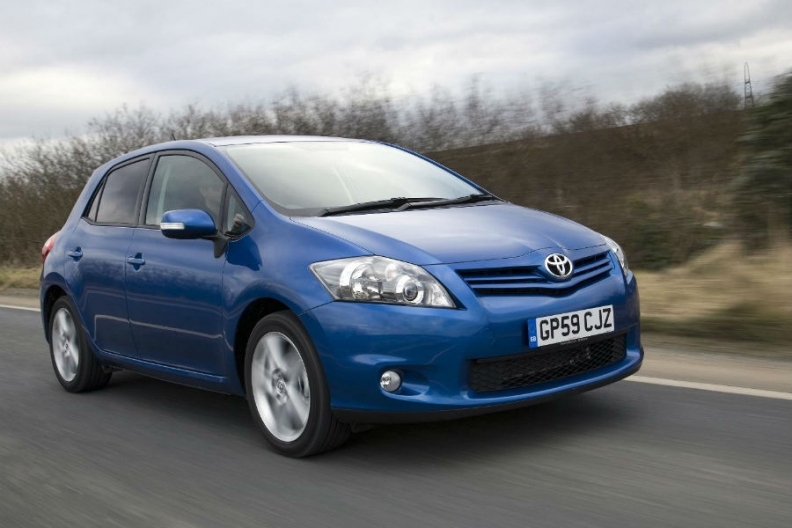 In 2011, Toyota sold 95,265 units of the Auris, a rise of 0.5 percent over the year before, according to JATO. Sales of the Corolla sedan in Europe fell 15.6 percent to 26,641. The Yaris subcompact model was the brand's No. 1 seller with sales of 141,327, a drop of 13 percent.